Even with the greatest basketball players on the court in our times in clear view, I think we can still respect Michael Jordan as one of the greatest basketball players of all time (if not “the” greatest… let the grumbling begin!). His finesse, his determination, his hops, his passion, and more made him into the champion he is. But even he wouldn’t take credit for winning all those games over his career. Jordan was great because he was part of a great team. We give credit to the one who stands out among a handful of players or team members. Yet even his coach, Phil Jackson, said as much: “The strength of the team is each individual member. The strength of each member is the team.” As good as Jordan was, it’s the team that won the championships. When you grasp a basketball, or a baseball bat, or a baton, it’s all five fingers that are making the grip, not just the thumb or the little finger. Whether in a business, non-profit, community group, the church, or a service group, when things get done, it is usually a team that makes it happen—and that gets the credit. Yes, a team captain or a lead player may be singled out, but he or she is just as likely to give credit to the team that got them there. Now, switch gears to think about our community. Usually the different arenas of community function independently—business, government, religion, medicine, arts, recreation—with seldom overlap or reliance. Most may not have any interest in the other arenas for that matter. Now, imagine what could happen if we found a more efficient and effective way to learn from each other, support each other, and become more intentional about truly building our community. I know there are organizations that are bringing together the best minds and assets in our community toward this endeavor, but what if we could function more as a team? 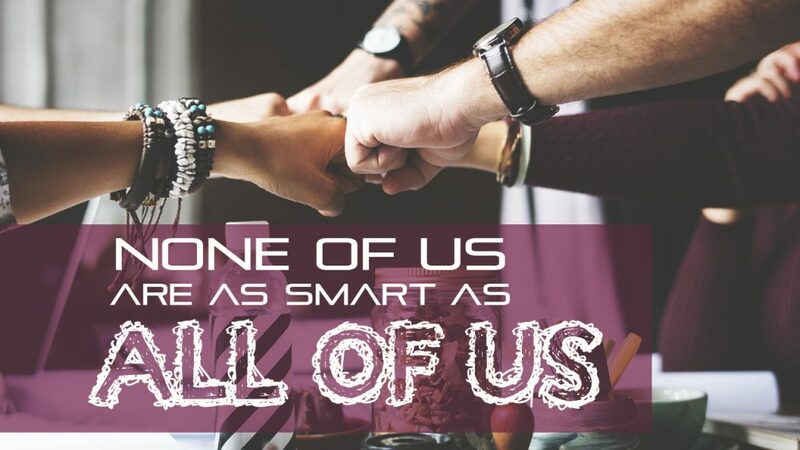 Instead of functioning in our various silos, or at times competing against each other, imagine the power and synergy from our community coming together! That would be a sight to behold, worth far more than any trophy or championship. We have an incredible opportunity this month to gain a perspective from our community that is sometimes overlooked. Judge Shawn Myers will be sharing “A View from the Bench” at our next Grand Point Leadership Network breakfast gathering on Wednesday, June 28th. You can join the conversation about the needs in our community and how we as leaders are charged with the mission to find the right solutions… working together as a team to get the job done. One of the core beliefs of the GPLN (and part of the reason the GPLN was started last year), is that when leaders get better, everyone wins. That’s what motivates the GPLN to invest in the development of leaders, to help leaders take their next steps in their leadership journey. And the best thing we are realizing at our gatherings, is that we don’t have to take those steps alone. As an overflow of the Willow Creek Global Leadership Summit, the GPLN was formed to point leaders to their maximum potential by expanding leadership influence, sharpening leadership skills, and developing leadership connections. Teamwork is a necessary piece to make the GPLN and our greater community better. What role will you play in this team effort? Come join us at our next breakfast gathering and let’s find out, together. What are your examples of inspiring teams? What makes those teams great? What do you enjoy the most about an effective and energizing team to which you belong? In what ways can we work more as a team to develop the GPLN, and our community? Doug Coldsmith currently serves as the Director of Discipleship and Communications at Chambersburg First Church of God since July 2016. Previously, he has served in social services through several local non-profit human service agencies, and in church planting and youth ministry work, after earning a bachelor’s degree from Huntington University in 1998. He, his wife Cressa, and their two teenage sons, Caleb and Coby, live in Chambersburg, PA.